In an announcement which I think surprises no one (although it’s nice to hear it confirmed), Sky have said that Jack Bauer is back and returning exclusively to Sky 1 HD! The Emmy award-winning 24 is coming to London in February to film a brand new series after a four year absence. 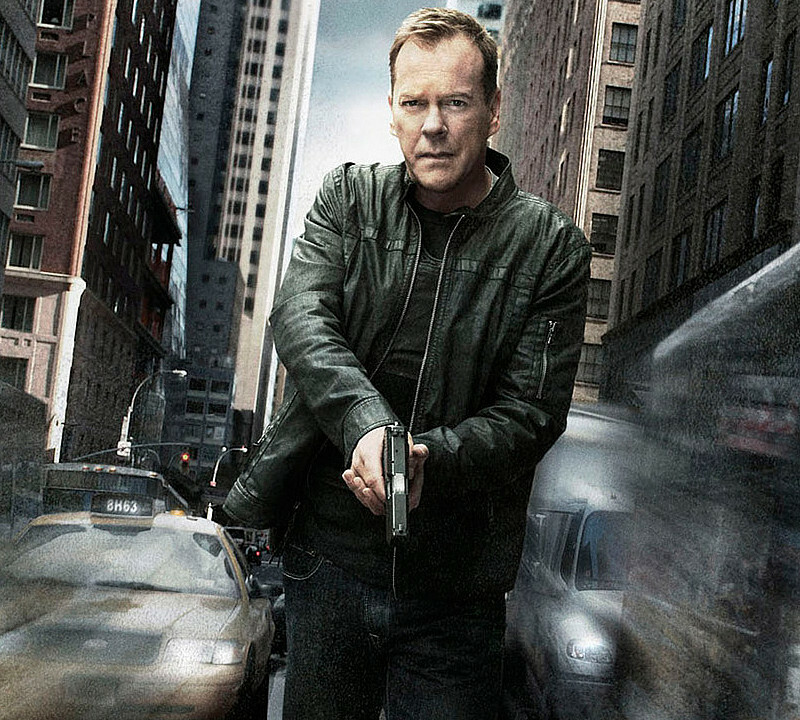 As a nice added bonus, Sky customers will be able to revisit the entire 24 series through Sky’s On Demand service. Acquired exclusively in the UK by Sky 1 HD from Twentieth Century Fox Television Distribution, 24: LIVE ANOTHER DAY will see Kiefer Sutherland return as Jack Bauer for this event series with a thrilling international adventure. Breaking from the usual formula, the series will restart the clock for a limited run of twelve episodes. Mary Lynn Rajskub will reprise her memorable role as Chloe, William Devane stars as James Heller and Kim Raver will play Audrey Raines. New cast includes Yvonne Strahovski (Chuck/Dexter), Giles Matthey (True Blood), and Gbenga Akinnagbe (The Wire/Graceland). Howard Gordon is returning to executive produce and Jon Cassar, who produced and directed 24 from seasons 2 to 7, will also return to executive produce and direct episodes. Evan Katz and Manny Coto will serve as show runners and executive producers. 24: Live Another Day, should air in May 2014 on Sky 1, and the first season of 24 will be available from Sky’s On Demand service from February, with the box set of seasons 1-8 being available from March.